Secrets of Swansea’s prehistoric past unearthed. 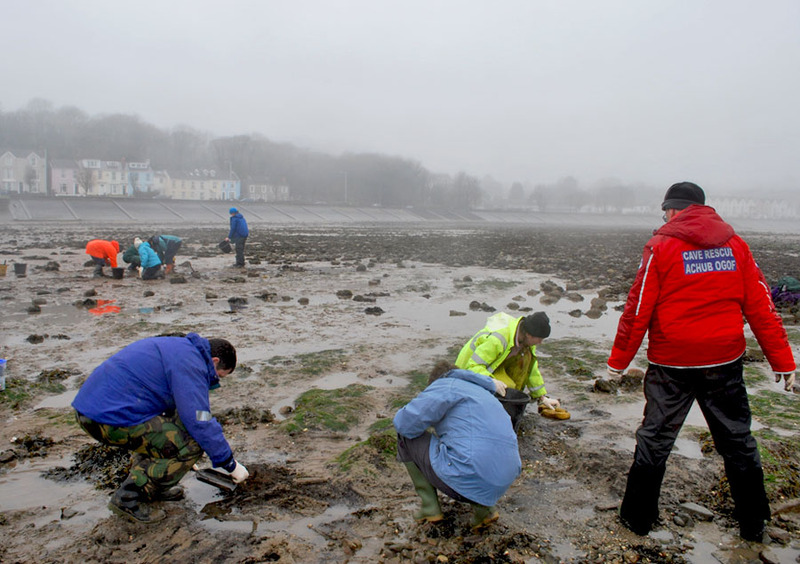 More secrets of Swansea’s prehistoric past have come to light on the foreshore at Oystermouth Bay. 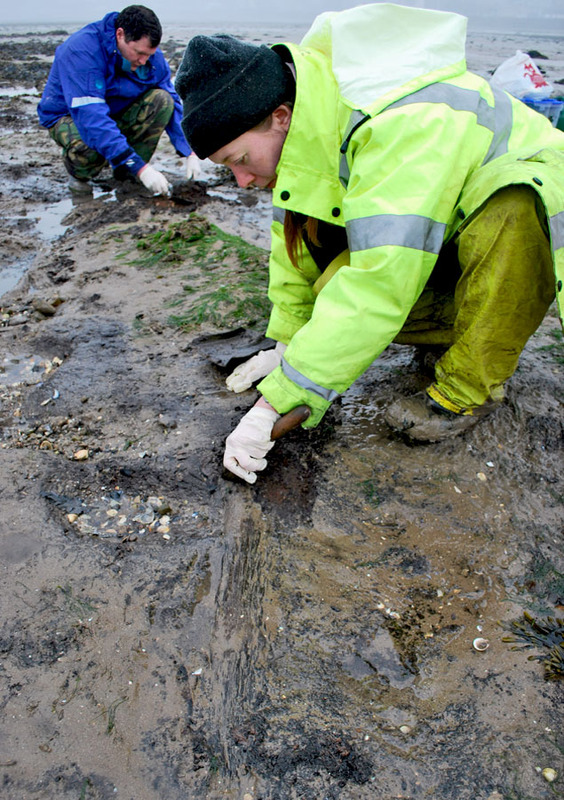 Archaeologists from the Glamorgan-Gwent Archaeological Trust along with local volunteers taking part in the Arfordir Coastal project, have been carrying out emergency recording of the remains of wooden trackways exposed by the bays shifting sands. GGAT archaeologist Ellie Graham stated that these remains are possibly that of an early Bronze Age trackway, similar to that excavated by the Trust in March 2009, and may well be an additional stretch of it. Learn more about the previous excavation. The trackway crossed a very different landscape from that which we see today, as the climate during the early Bronze Age was much drier and warmer and the sea level significantly lower. 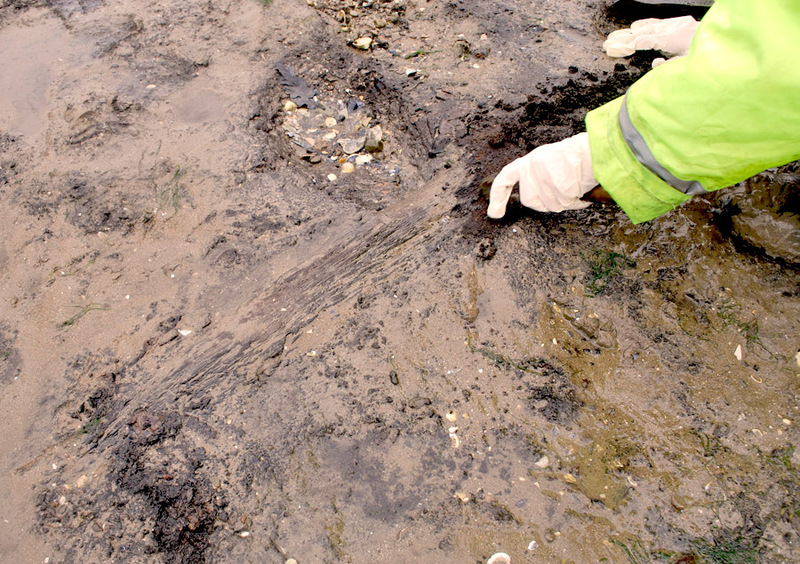 Pollen analysis from the previous excavation showed that the trackway was probably built through a wet, marshy environment. The race to record as much as possible of the site before its destruction by tidal action continues until the 27th February when the project comes to an end.